"well-listened, deeply collaborative music ... Lacy would have been pleased." He was speaking of a 1987 quintet date with Mengelberg and Han Bennink. ‘We had a conﬂict about something I wrote that Misha wouldn’t look at. A misunderstanding.’ He may refer to his Dutch Masters, where the piano part is (I’m told) impossible, dense and bass-heavy — everything Misha would be uninterested in reading or playing: karmic payback, maybe, for Mengelberg giving Dolphy a tune without breath pauses in 1964. Dutch folk were often more co-operative. Lacy performed his Precipitation Suite with de Volharding, and presented his multimedia Garden Variety at the old Bimhuis in 1975. He and Maarten Altena improvised High, Low and Order at A’dam’s Shalfy Theater in ’78. One of the myriad pleasures of the superjumbo ICP reissue box is hearing Lacy’s 1974 Lumps again, with Bennink, Altena, and Michel Waisvisz on crackle synthesizer, wild in that scratchy-seventies way, far from Lacy’s gleaming ’8os music. Lacy died in 2004, but this January Bennink was back out playing his tunes, with the Boston-Chicago-Netherlands sextet the Whammies, a week-plus North American tour followed by their second recording. The band was organized by the Bostonians, ]orrit Dijkstra on alto and lyricon, and pianist Pandelis Karayorgis. 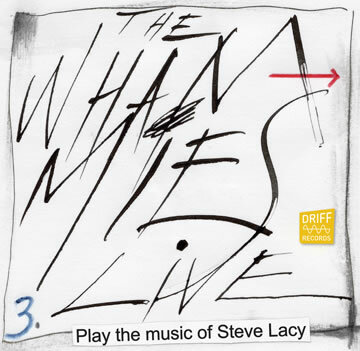 They run Driff Records that put out The Whammies Play the Music of Steve Lacy last fall. One tour stop was Baltimore’s Windup Space. Mary Oliver mostly played violin, streaking in the stratosphere in a way that seemed to draw out everyone’s high overtones. Raucous trombone swaggerer ]eb Bishop exhorted the troops. Bassist Nate McBride broke up the time, playing splay-ﬁngered mbira arpeggios, and improvising lines that sounded like Lacy tunes. From the opener — Dutch Masters, tidily enough — the band caught the peculiar lilt Lacy got on his singsong pieces, a lightness that can elude other Lacy repertory bands. Karayorgis has a lot of Monk and Misha in him; you can tell the drummer likes him, when Han slides into that ecstatic swing groove he reserves for soloists he truly digs. Perhaps seeking to do justice to that murky piano part, Karayorgis showed a bangy Brubeck side too. 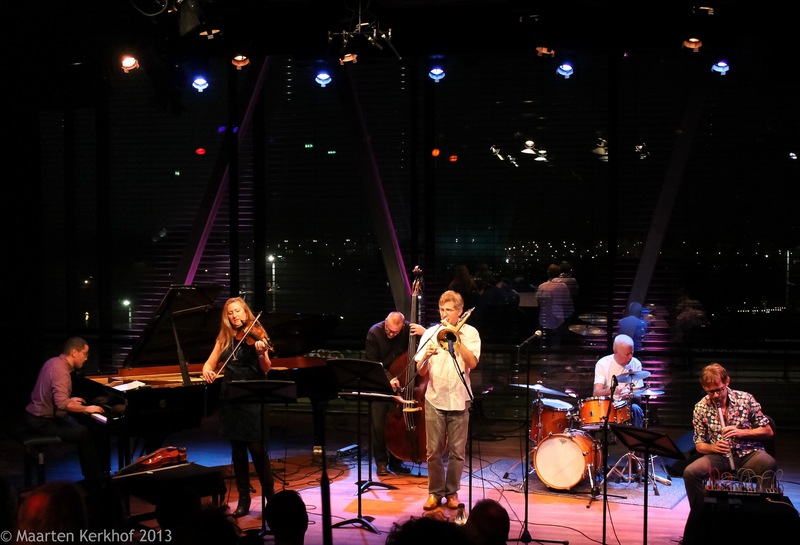 Jorrit Dijkstra has found his voice since the mid-’90s in Amsterdam, when his alto solos borrowed liberally from Steve Coleman and Michael Moore. Nowadays he may tailor every note in a line, shading the interpretation/orchestration on the ﬂy. Dijkstra’s also the Whammies’ traffic cop, cueing in the themes and trying to coordinate the mostly rickety endings. He used his vintage electronic lyricon not as shrieking ersatz soprano but as burbling noisemaker, recalling a popcorn machine, dogwhistle, or Krell music from the bowels of planet Altair IV. Dijkstra had moved to Boston early in 2002. A few months later, Lacy repatriated after decades in Europe to teach at the New England Conservatory. ]orrit took six lessons with him that fall. When he arrived one stormy day, Steve was by the window, playing the raindrops. ]orrit was primed for his lessons. The ﬁrst jazz show he’d seen at 17 was Lacy with ICP at Café Wilhelmina, 1983. Later when he took a few lessons with Moore, Michael passed him Steve’s overtone exercises. Then Dijkstra absorbed Lacy’s method book Findings. Spending time with Steve Lacy, studying the music, and more recently talking with his widow lrene Aebi who gave him rare scores to photocopy, Dijkstra noted numerous Dutch connections. Steve told him Han the birder loved playing Ducks, with its waterfowl-inspired reed attacks. The Whammies play it, alongside Lacy compositions dedicated to Mondrian and De Kooning. Luminaries from divergent improvised music scenes—Boston, the Netherlands and Chicago—joined forces Feb. 1 at MIT’s Killian Hall in Cambridge, Mass., to help celebrate the music and spirit of the late soprano sax innovator Steve Lacy. 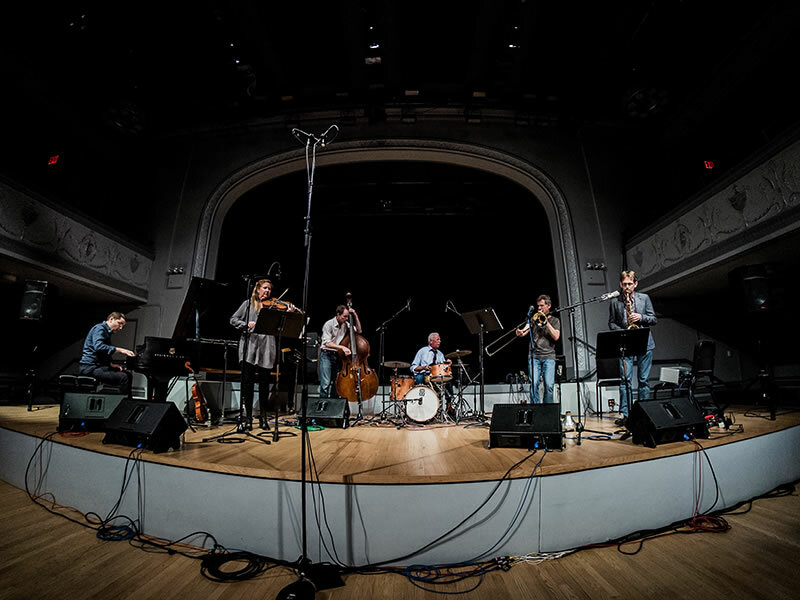 The group, dubbed the Whammies, loosely followed the lead of Jorrit Dijkstra, the reeds experimenter and Berklee/NEC teacher who has previously plumbed the depths of Lacy’s catalog with the Flatlands Collective. But in an ensemble featuring the collective talents of fellow Dutchman Han Bennink (drums), Pandelis Karayorgis (piano), Jeb Bishop (trombone) and Nate McBride (bass), he acted more as a ringmaster for the flights and ecstasies of the band, each contributing to a cohesive whole. It was a testament to that wholeness that the musicians seemed fundamentally at ease and explorative as they tackled an array of Lacy compositions, from the squawking, rollicking “Duck,” which touched on the jagged rhythms of Captain Beefheart and sounded very duckish indeed, to the second set’s “As Usual,” a kind of martial, throbbing lullaby written to honor the artist Piet Mondrian. Opener “Bone” set a rambunctious, playful tone, and Lacy’s “Precipitation Suite,” a meditation on various foreboding weather phenomena, sounded appropriately atmospheric and melancholy, with guest violinist Mary Oliver conjuring tingling melismas. Far from a dry recital, this was well-listened, deeply collaborative music; the band dug into the structures, at times little more than implied, with gusto and rapt attention. Bennink, as always, proved captivating and divinely idiosyncratic as a drummer. He intruded bombastically into the band’s drones, breaking and reshaping the rhythm, attacking the kit with such conviction and force (not to mention his right foot, which at times he swung up onto the tom head to alter the pitch) that at one point he broke through a snare head and called for a mid-song pit-crew repair; there may not be a more powerful snare player in the business, and his field hollers and grunts punctuated the band’s motions with an undeniable style. McBride matched Bennink’s abstractions with nimble power, often using his instrument’s bow to create subterranean drones, and Karayorgis pounded intricate, viciously precise lines on piano (that at times, unfortunately, were difficult to register over the rest of the band). Bishop’s transcendently dirty expressions were rendered humanlike by deft use of mutes. He proved, as in their previous collaborations, to be an excellent foil for Dijkstra, whose soaring alto sax work and ramblings on the lyricon, an electronic reed instrument and signature Dijkstra tool, lent insectoid beeps and metallic bass hums to “The Wire,” a Lacy composition that began in the realm of electroacoustic chirps, and transitioned into barn-burning skronk. In the collective spirit of the evening, the Whammies touched on compositions from Dijkstra and Karayorgis; the latter’s “Roll” was a piece of shimmering bop, grounded in the ecstasy of Dijkstra’s high, lonesome tones. The lone “standard” expressed was Thelonious Monk’s “Locomotive,” which found the band more than comfortable at more conventional musical climes. It was less brittle than the original rendition, replacing the veiled tension an with insouciance and confidence, and the conclusion might have been a stand-in for the show as a whole—as Dijkstra’s ascensions derailed the martial melody, Bennink and McBride’s rhythm section launched thumping missives over Karayorgis’ mounting chords. The spirit and animation of the composition remained, while the musicians swirled and improvised around the base. Lacy would have been pleased. THE WHAMMIES "Dutch Masters" from Julie Mallozzi on Vimeo. The American soprano saxophonist and composer Steve Lacy (1934-2004) once described jazz as a "bug" — the kind of virus that can "bite" you any time and any place, and that you can't shake. Lacy spent more than 30 years of his life in Paris, but the last two at the New England Conservatory, where, it would appear, the Lacy bug was already part of the collective bloodstream. His pieces have shown up regularly in the work of NEC students and colleagues — Dominque Eade, Jeremy Udden, Monika Heidemann and, more recently, Josh Sinton and Jorrit Dijkstra. Lacy got his start in Dixieland bands before being recruited into the avant-garde by Cecil Taylor. He nurtured a career-long love affair with the music of Thelonious Monk (in whose band he played for a few months in 1960), and even formed a quartet with trombonist Roswell Rudd that played all Monk. In the meantime, he established himself as one of the music's foremost virtuosos on the soprano saxophone. He also happened to leave a huge body of compositions, which has barely been tapped by other players. The music has the formal rigor and humor of Monk, but also leaves plenty or room for the freeplay of the broader gestures of the avant-garde, and is suffused with a rich vein of swing. Now, as with the Rudd/Lacy band dedicated to Monk, there are at least two bands dedicated to Lacy. Last week, Bostonians got a chance to hear Sinton's Lacy band, Ideal Bread. 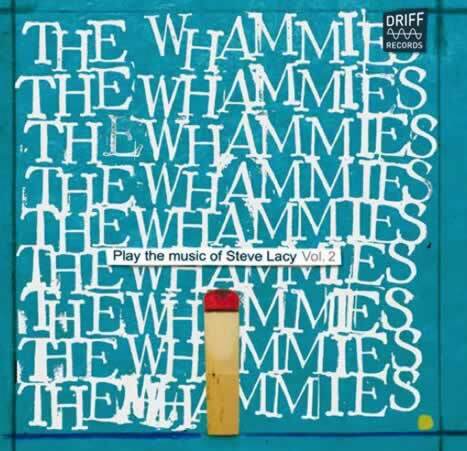 This week, transplanted Dutchman Dijkstra (also an NEC faculty member) brings in his band the Whammies (like Ideal Bread, also from a Lacy title) to celebrate the release of The Whammies Play the Music of Steve Lacy. It's the debut release on Dijkstra and pianist Pandelis Karayorgis's Driff label. If Ideal Bread approach Lacy's music with the elegant classicism of tightly charted performances, the Whammies take broader swings. That's not hard to understand, given that the band includes Dijkstra's countryman, the 70-year-old rabble-rousing drummer Han Bennink, a charter member of the "new Dutch swing" movement, and someone who had played frequently through the years with Lacy. It was a performance by Lacy and Bennink in Rotterdam in 1983 that inspired Dijkstra to become an improvising musician. Part of what attracted Dijkstra to Bennink was his Dadaist approach to music. And there's a bit of that in the Whammies' take on Lacy. Bennink is here, along with one of his bandmates from the Dutch Instant Composer's Pool (ICP), violinist and violist Mary Oliver, plus Karayorgis, trombonist Jeb Bishop and bassist Nate McBride. The tandem of Dijkstra and Bishop on the front line suggests the obvious comparison to the Lacy/Rudd collaborations. There's the timbral similarity of matching high reed and low brass, but also the additional similar contrast of Dijkstra's delicacy with Bishop's brawn. There are passages of lovely beboppish walking-bass swing throughout The Whammies, but what is probably more characteristic are evocative uses of Dijkstra's Lyricon electronic wind instrument matching Oliver's high, sliding string figures. The result is especially eerie in numbers like the loping, laconic "As Usual," or Lacy's dedication to Albert Ayler, "The Wire." There's also the helter-skelter free-blowing tune of the band's namesake, the gently swinging "Dutch Masters" (from an album Lacy recorded with Bennink and another Dutch sage, Misha Mengelberg). They bring it all back home with an affectionate version of Monk's "Locomotive." "His material has a simplicity to it, which makes it very strong," Dijkstra says. On one rainy day, Lacy taught Dijkstra the tune "Rain," from the "Precipitation Suite," which also includes the tune "I Feel a Draft" (on the Whammies album) and "Cloudy." "He's got this 'rain' scale, which is six or seven notes. And for some reason it sounds rainy, I don't know why. You play those notes and you think, 'Yeah, it's a little bit sad. A little watery.' It's a pentatonic scale with two extra notes. It sounds a little Phrygian, a little meditative, like you're watching a rainstorm on your front porch. I really like that kind of stuff. It takes you away from the scales and chord changes that most jazz musicians are obsessed with." Lacy also wrote hundreds of songs (usually sung by his wife, Irene Aebi), sometimes setting music to poetry (Robert Creeley was a favorite), sometimes adding little mantra-like phrases after the fact ("The Dumps," "No Baby," "As Usual"). Lacy's tendency to attach music to words or to physical observation, as well as his dedications, remind me of a story Sinton told me about Lacy's reaction to one of his pieces: "What's it about?," Lacy asked. Sinton said he had never considered that a piece of music should be about something. The first thing that strikes you about Jorrit Dijkstra is his versatility. He plays alto saxophone, whistles, the Lyricon and other electronics, and his projects include everything from cerebral solo saxophone concerts to spacey electro-acoustics in a duo with percussionist John Hollenbeck. He has composed for free jazz ensembles, solo electric guitar, world music troupes and theatre groups, mixing the cool school of jazz with indie rock and minimalism. Having spent the early years of his career in Amsterdam’s jazz community — well known for both high-level playing and wacky antics — he moved to Boston in 2002. Last seen in Montreal in December 2008 with the FlatIands Collective, a group of Chicago free improvisers, he returns leading the Whammies, a sextet focused on the compositions of the late soprano sax specialist Steve Lacy. Dijkstra studied with Lacy, who also had wide scope, delving into the standard jazz repertoire with the works of Thelonious Monk, as well as free improvisation and experimental composition. The Whammies are a modern-day jazz supergroup, from the drum kit on out. Veteran troublemaker Han Bennink played with Lacy in the ’70s and ’80s, and is infamous for keeping time using not just his traps, but also the floor, mic stands and anything else in the room that can be struck. In a previous Montreal visit, he performed a captivating solo by waving a drum stick inside a plastic bag. The ensemble also includes trombonist Jeb Bishop of Vandermark Five fame, Pandelis Karayorgis on the piano, the ICP Orchestra’s Mary Oliver on violin and viola and the warm and inventive bass playing of Nate McBride. With Oliver and Bennink from Amsterdam, Dijkstra and Karayorgis from Boston and the others from Chicago, the band does not get together often. This second North American tour will be followed by dates in Europe. 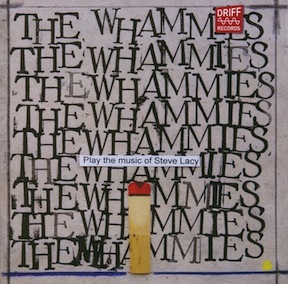 The Whammies recently released their first CD, simply titled Plays the Music of Steve Lacy. It was released by Dijkstra and Karayorgis’s own Driff Records label, and includes seven Lacy covers and one Monk tune, “Locomotive.” Bennink, who is also a visual artist, created the cover art. I reached Dijkstra by phone, and we talked about the band, what he learned from Lacy and the upcoming tour. Lawrence Joseph: The group spans not only three cities and two continents, but also several generations of musicians. How did the Whammies get together? Jorrit Dijkstra: I had already played a lot with Chicago musicians like Jeb Bishop, and knew Nate McBride from when he was living in Boston. I’ve known Han Bennink for a long time — his music was something I grew up with in the ’80s and ’90s. I had been playing Lacy tunes for the past 10 years, and decided to organize a concert. The organizational effort was a joint one with Pandelis, who’s also in Boston. LJ: You were Lacy’s student, and have mentioned his book Findings as being especially influential. Aside from Lacy’s message that you can “make music out of anything,” is there something that was especially instructive from the book or the lessons? JD: What I liked so much about Lacy’s music is that he takes elements from the world around him and puts it into music. Like ducks at a pond, or a rainstorm. It’s a very simple thing, and it can be cheesy or it can be interesting, but Lacy always did it right. Lacy was also interested in language and poetry. He taught me to take a word like “hello” and try to phrase it using intervals so that your instrument sounds like “hello.” It’s a different way to practice, and it exposes a whole world of musical possibilities, away from scales and chords. It opens up your mind. LJ: Did you have access to the scores for Lacy’s compositions? JD: I did have access to the notation. He passed out some scores to his students, and other works had been floating around. I also met with his widow, Irene Abei. I went to her house, and she gave me a bunch of scores, which was very nice of her. LJ: You’re one of the few to play the Lyricon, and on the Whammies album you’ve used it to create high-register sounds that are similar to those Lacy played on soprano sax. You also play soprano, yet do not do so on this record. Why avoid the soprano sax on a Lacy recording? JD: I’ve been playing the Lyricon for 12 years now, and it’s a fantastic analog synthesizer from the ’70s, nothing to do with MIDI. You have incredible control over the synthesizer, and can make it sound like a wind instrument. It’s a way to extend the horn into extreme top and bottom ends. I did play soprano a while ago, but playing in a Lacy band and playing soprano is extremely dangerous — I don’t want people to think I’m just trying to sound like Lacy, I already need to watch out for that! In any case, Lacy liked the low end of the soprano, and many of his pieces explored the low end. So they’re in a good range for the alto. LJ: All of the Lacy tunes on the album are dedicated to other musicians, or in one case Mondrian, the Dutch painter. Are there any connections between the songs and the particular musicians to whom they’re dedicated? JD: Every single Lacy composition has several layers of meaning attached to it. They’re more than just melodies and intervals. Almost every tune he wrote was dedicated to a particular artist, which is one layer. I’d been looking for Dutch connections, and we’ll be playing more Dutch dedications during this tour, things he wrote while residing in Holland. The title “Dutch Masters” is from a cigar box painting by Larry Rivers, who was a Beat Generation guy. It was at the Chelsea Hotel where Han was staying in the ’80s. So Lacy dedicated that tune to Spike Jones and the City Slickers, who played slapstick movie music with crazy special effects, which was maybe referring to Han’s antics. Han drummed with Lacy in the ’70s and ’80s, and Han loved playing “Ducks,” so I decided to play that one, too. LJ: The recording mixes Lacy tunes with improvisations based on them. Will the live show in Montreal follow a similar strategy, or will there be surprises? JD: The show will be much looser than the album. One of the things I like about playing with these great musicians is that anything can happen. So we might not even make a setlist and just pull things out as they come along, take that kind of freedom. There will be lots of free improvising within and around the tunes. Hopefully every concert on the tour will be different. There will be Lacy tunes not on the album, including some that have hardly ever been performed. LJ: Are there plans for another recording project for the Whammies? JD: During the tour, we’ll be doing a second studio recording, again all Lacy tunes. We’ll also do some live recording and see what we come up with. LJ: Is there anything else you would like to add? This year marks the tenth anniversary of Steve Lacy’s passing, and we’re still just measuring the vastness of the loss. Before him, the soprano saxophone was a second-string instrument in jazz; after hearing him, John Coltrane began to play it too. He modeled the methods and ethics of jazz scholarship by embarking upon a life-long investigation of the music of Thelonious Monk, and honored Monk’s example by writing a vast book of diverse and distinctive compositions of his own. How do you pay tribute to such a talent? If you’re the Whammies, you do so by not being too precious about it. The Whammies are a sextet of Dutch, Greek, and American musicians, some of whom have had first-hand encounters with Lacy. 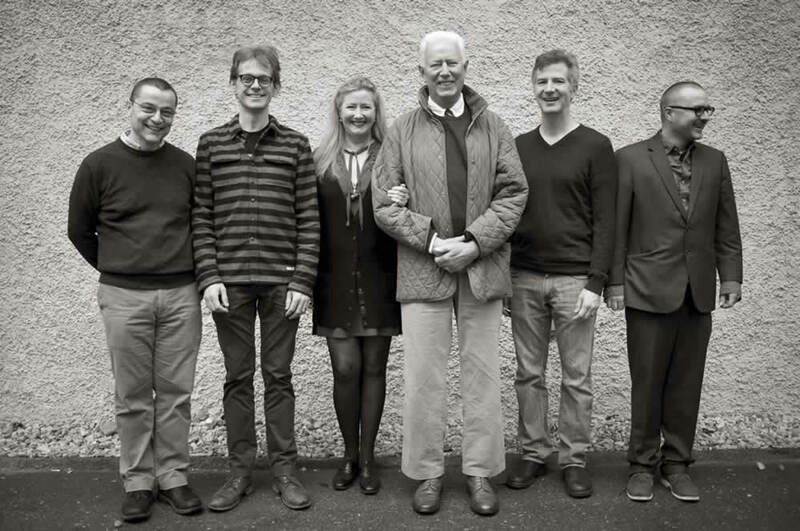 Drummer Han Bennink played and recorded with him in the 80s; Jorrit Dijkstra, who plays alto saxophone and the electronic reed instrument known as a lyricon, took up improvised music after seeing one of those concerts. The rest of the band’s line-up ensures that the salient qualities of Lacy’s music are well represented. Jeb Bishop upholds the slippery presence that other trombonists, most notably Roswell Rudd and George Lewis, brought to Lacy’s music, while violin and viola player Mary Oliver’s mastery of both improvisation and classical tone recalls the essential role that strings often played in Lacy’s music. Pianist Pandelis Karayorgis has incorporated Monk’s clanking dissonance into his own playing. And newcomer Jason Roebke, who replaces original bassist Nate McBride, shifts easily between stout-hearted swing and splintered abstraction.